Tobin has been developing since 1926 and we are here to build with you. We have successfully developed across ALL disciplines of real estate from Commercial and Retail, Single Tenant Specialty, Medical, Educational, and Non-Profit, our Development Team meets all of their needs. Supported by generational experience and expertise, and coupled with the right architectural, construction and management associates, Tobin Properties is beyond doubt a full-service real estate source. 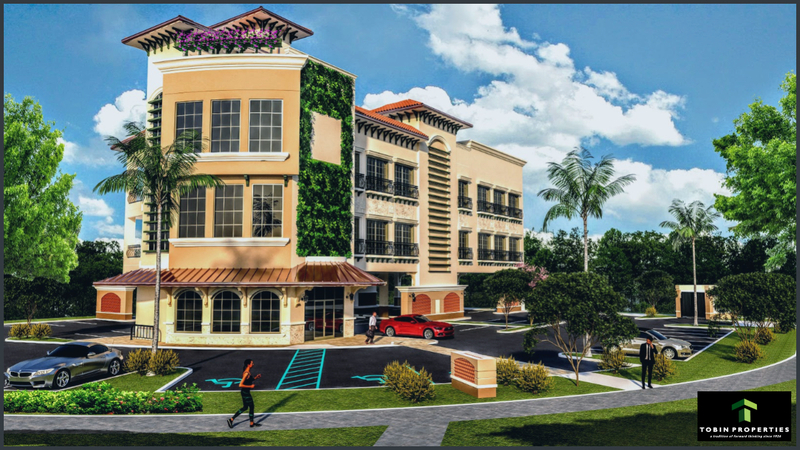 COMING SOON ♦ 3701 Ben Tobin Drive, Hollywood, FL ♦ click Pre-Leasing. An established database of resources and contacts that can expedite the development process and state approvals. Strategic site selection and analysis. Proactive site planning which on-average reduces costs. We are committed to providing expert, professional and accurate real estate advice to our clients. We rely on our most talented professionals and experience, to meet our clients’ most demanding projects. Look to identify the next development opportunity. Do extensive research into market demographics, local competition and void analysis to ensure the opportunity is viable. Consider all areas of development. View your interests as our own, for us to profit, you must profit first. We meet our client’s needs by managing projects from an Owner's Perspective™ and by applying value-enhancing solutions to maximize outcomes and successes.